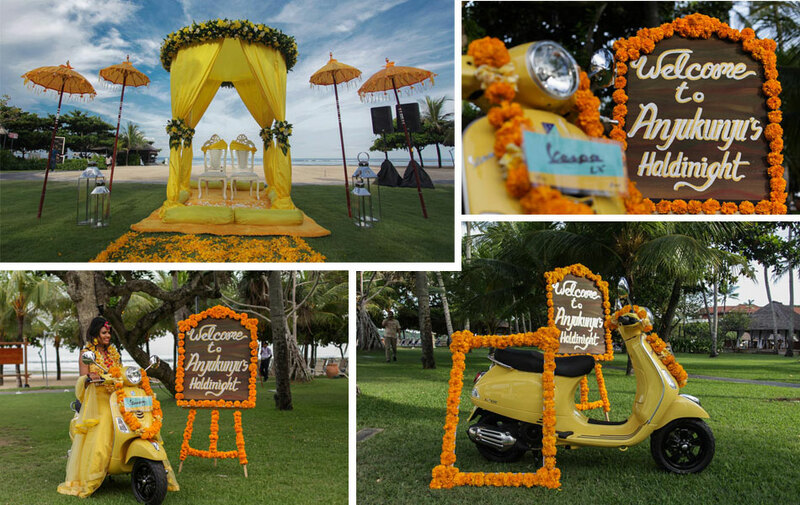 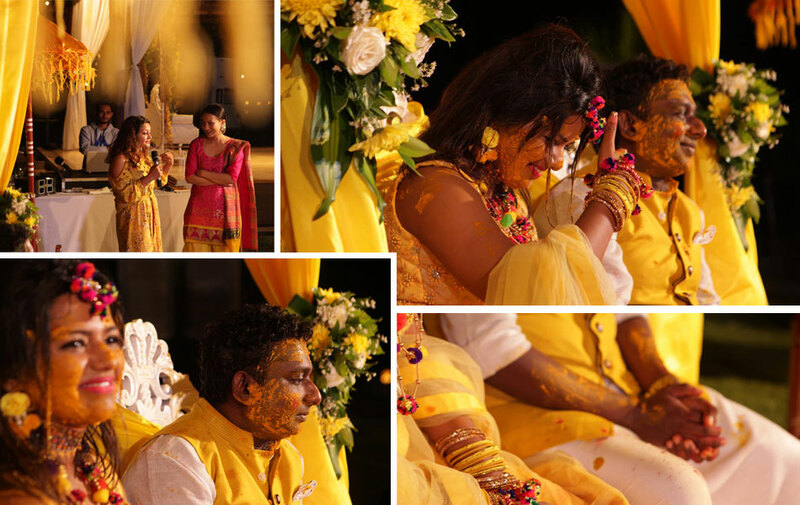 It was an honor for HappyBaliWedding to provide our services and be part of Anjali and Sreeju’s 3 days’ events in Bali. 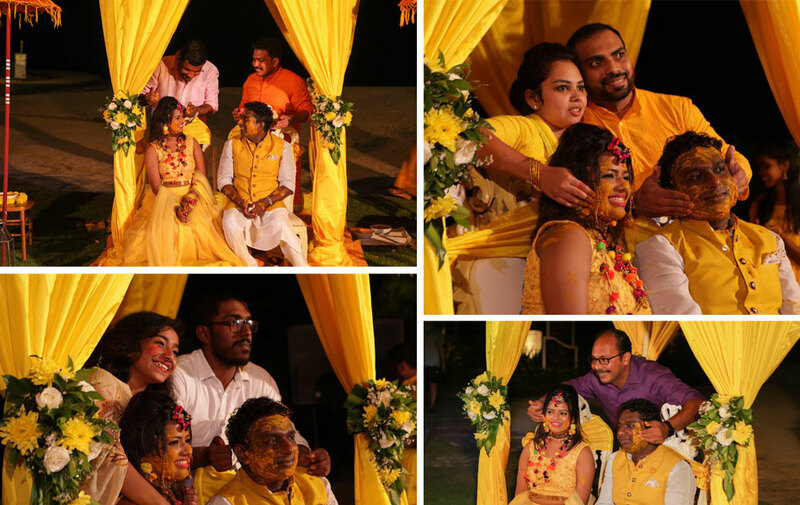 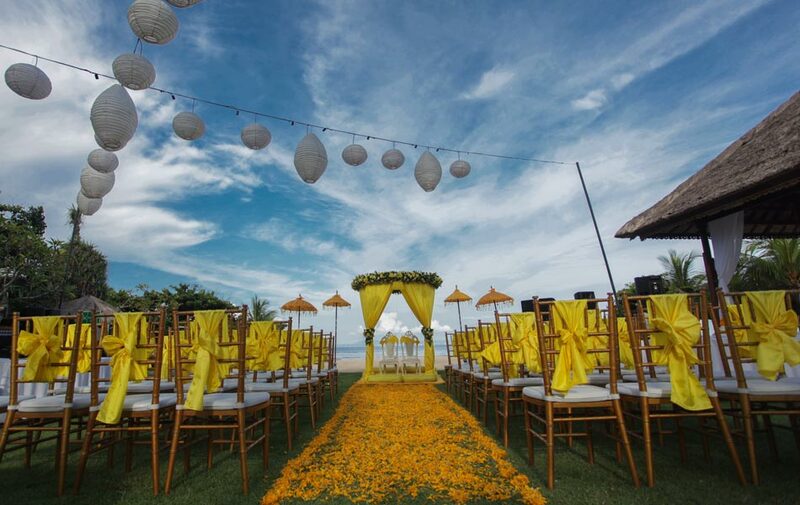 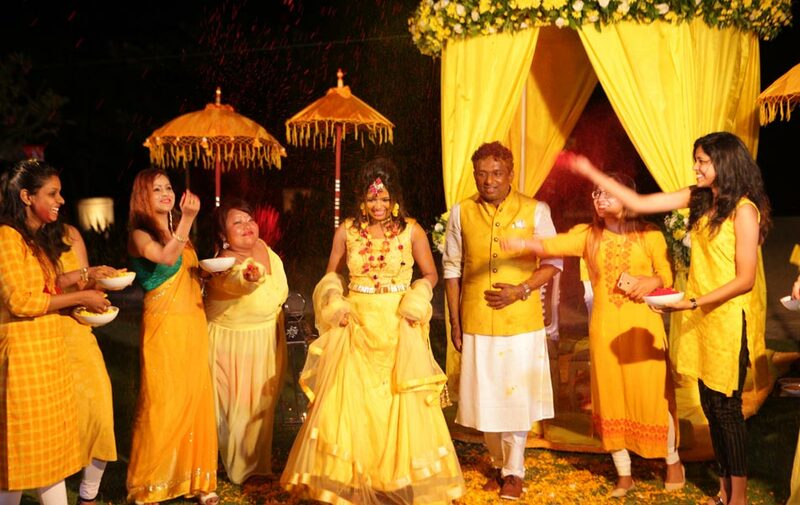 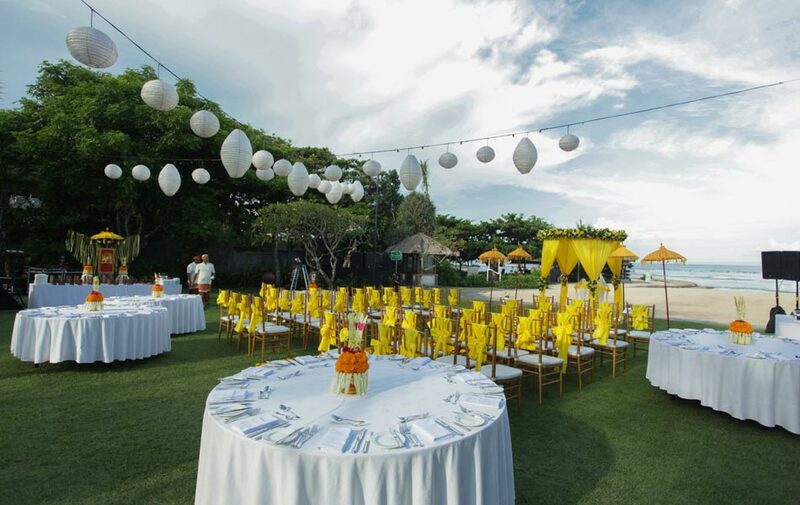 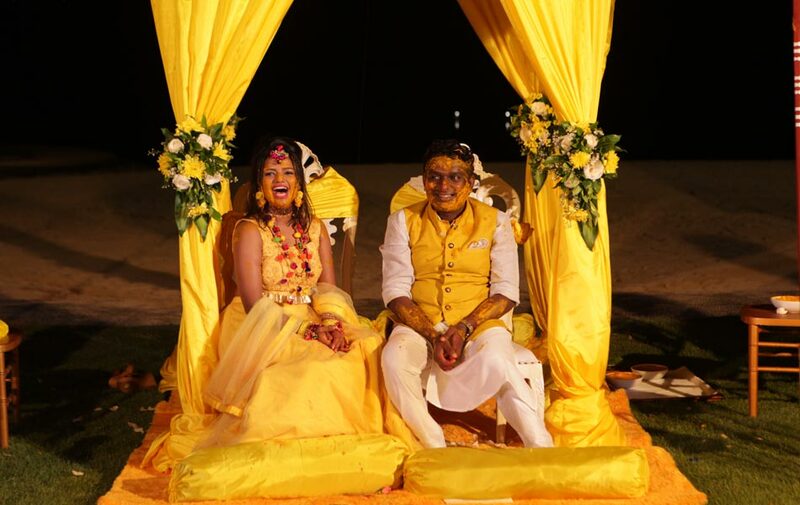 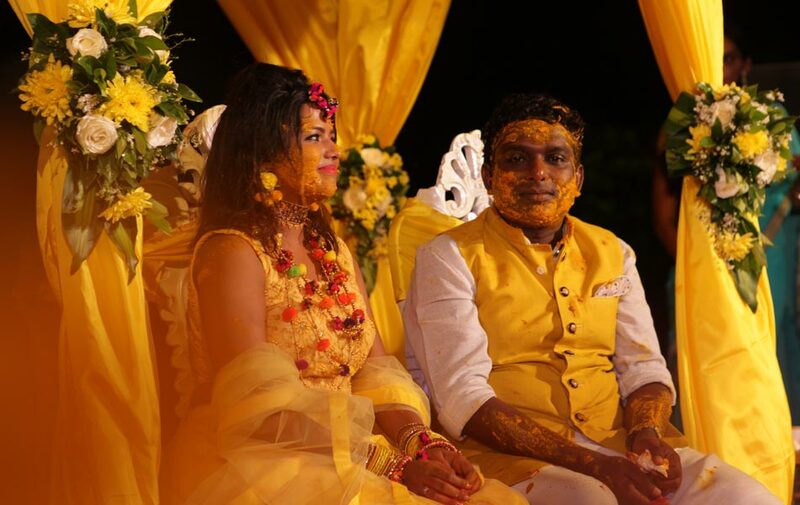 First evening was their Bachelorote and Bachelor Night then second evening was Haldi Ceremony at Nusa Dua Beach Hotel. 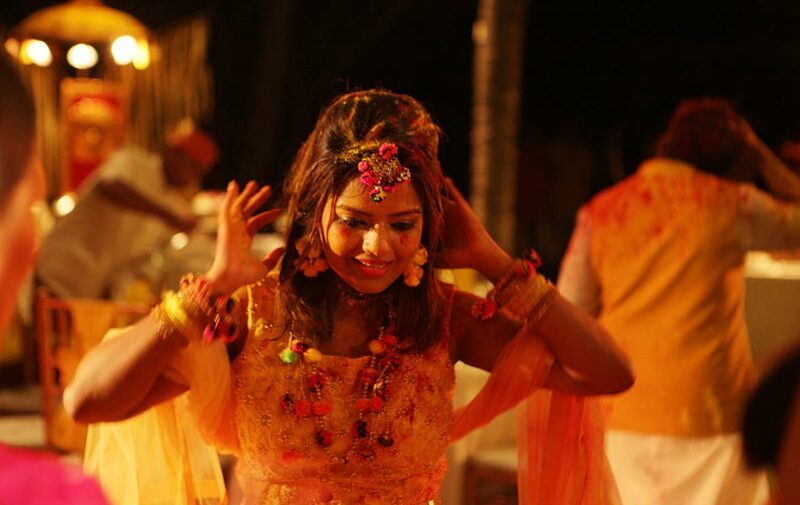 They had beautiful times with their parents, family and friends with a lots of fun, dancing and party. 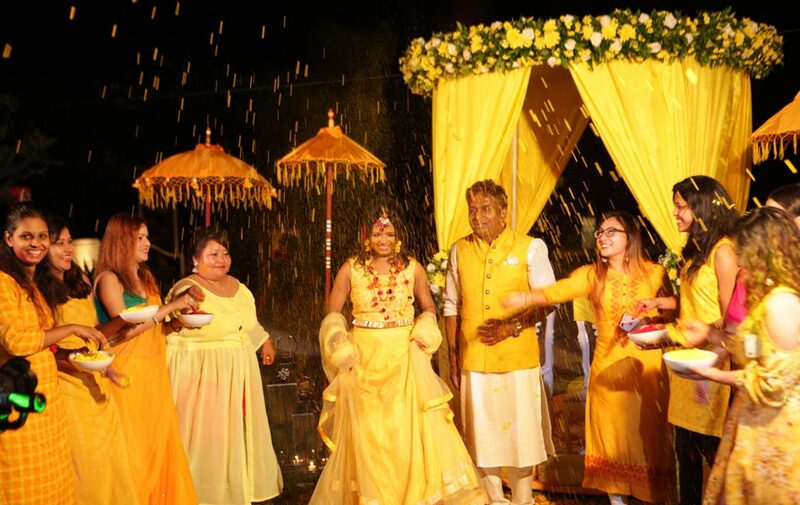 We wish them happiness and that their love will flourish over the coming years, and with their memories of the wonderful event with their photos and videos always to look back on.